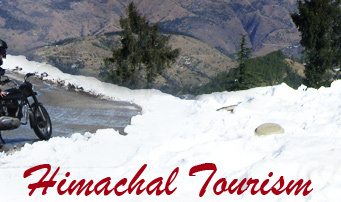 Himachal Pradesh-The Land of eternal snow peaks � takes in the transition zone from the plains to the high Himalaya and in the trans-Himalaya region of Lahaul and Spiti, actually crosses that mighty barrier to the Tibetan plateau. 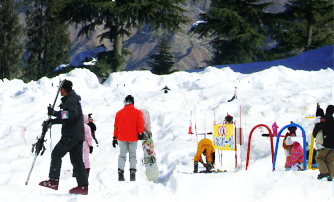 The Kullu Valley, with its developed and tourist �oriented economy, can be considered the backbone of the state. 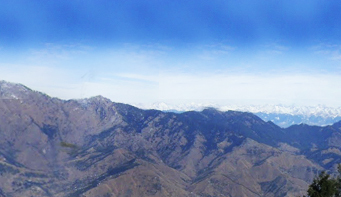 Off to the east is the Parbati Valley, popular with long-stay visitors. 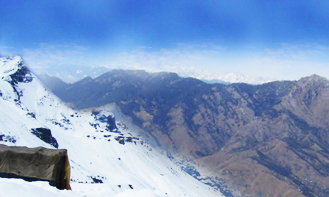 In the Chamba and Kangra regions can be found typical British hill stations and small but beautiful temple complexes. The residence of the Dalai Lama is in Upper Dharamsala, Known as McLeod Ganj, which has become a centre for Buddhism, as well as the headquarters of Tibetan Government in Exile. 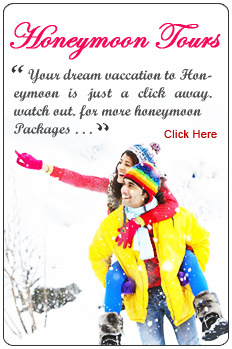 Shimla, the famous colonial hot-weather capital, remains Himachal�s seat of government. 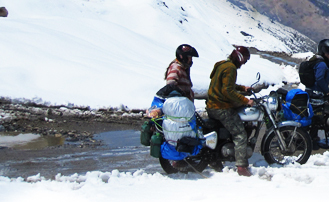 The bleak, high altitude regions of Lahaul, Spiti and Kinnaur were opened to foreigners in 1992 and bear a striking resemblance to Ladakh. Permits (easily obtained) are necessary to visit some parts. The predominant influence here is Tibetan Buddhism and there are some spectacular gompas (monasteries) here. The region that today comprise Himachal were, in ancient times, crossed by trade routes to Tibet (Over the Spiti La) and Central Asia (via the Baralacha La and Leh) and also commanded the such pass that led to Kashmir. Rajas, Ranas and Thakurs ran their rival rahuns and thakurais, making Himachal a patchwork quilt of tiny states. Only Kangra and Kullu (and later Chamba) had the power to break out of the petty feuding system. Several Himachal states had Kings from Bengal; the best known of these is Mandi, which was founded in 1527, with the exception of the bigger states. Most of the later hills states were founded by Rajput adventures from the plains in the early medieval period. The first westerners to visit the region were Jesuit missionaries in search of the legendary kingdom of And upon the subsequent discovery that Himachal was ideal for growing apples, an American missionary the Reverend NS Stokes, developed the Kotgarh Orchards. 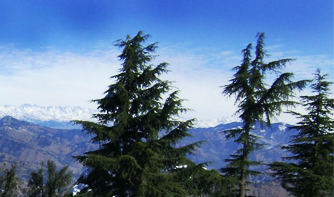 Little bits of England were created at Shimla, Dalhousie and Dharamshala during the late 19th century. In the early part of the 20th century a railways was built to Shimla and another was laid through the Kangra Valley. In the interior, however, feudal conditions remained: men were forced to work without pay and women were regarded as Chattels. The region that today comprise Himachal were, in ancient times, crossed by trade routes to Tibet (Over the Spiti La) and Central Asia (via the Baralacha La and Leh) and also commanded the such pass that led to Kashmir. Rajas, Ranas and Thakurs ran their rival rahuns and thakurais, making Himachal a patchwork quilt of tiny states. Only Kangra and Kullu (and later Chamba) had the power to break out of the petty feuding system. 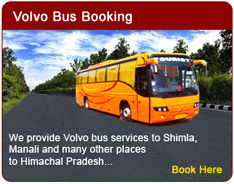 The state of Himachal Pradesh was formed in 1948. By 1966, the Pahari-speaking parts under Punjab administration, included Kangra, Kullu, Lahaul and Spiti were added. Full statehood was achieved in 1971.